This year SRVHS will be participating in the WASC self study/accreditation process, on November 5-7, 2018. This process has allowed us the opportunity to perform a self study school-wide and identify areas of strength as well as areas of improvement. I am excited to ask you to join us as we strive toward reaching the goals of our Core Values: SRVHS believes that a meaningful education is a shared responsibility involving students, staff, family and community. We value a safe, inclusive, and academically rigorous environment, where students will have the opportunity to achieve their maximum potential as ethical, resilient, and innovative global citizens. 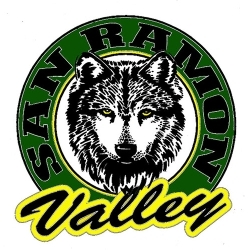 San Ramon Valley High School students will demonstrate proficiency in curricular knowledge and essential skills. San Ramon Valley High School students will demonstrate creativity, critical thinking, communication, and collaboration. San Ramon Valley High School students will demonstrate integrity, personal responsibility, and citizenship. San Ramon Valley High School students will demonstrate inclusivity, empathy, and compassion within their community. 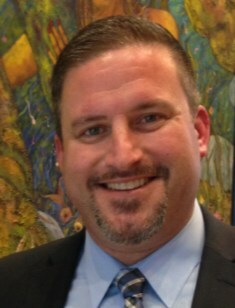 Another focus of the school year will be the SRVUSD priority to "deliberately prioritize and provide a world-class education where our focus on Safety, Mental Wellness, Inclusion, Cultural Responsiveness and Response to Intervention ensures that each student, employee and family feels safe and respected." The California Department of Education recently released the Social and Emotional Learning Guiding Principles, which will guide our priority of both physical and emotional safety for our entire school community. I am excited about the partnerships we will build in the upcoming year and beyond. Through teamwork and valuing outside perspectives, I am committed to making San Ramon Valley High School the best possible place for students. I wish you the very best this school year. Go Wolves!